Many of you know that a couple of months ago my Mom had a stroke. To say it rocked my world is putting it mildly. My Mom is my confidant, my best friend, my biggest supporter & ally, and the person other than my husband & kids that is vital every day and every hour of my life. She has been my rock over the past year. It’s been a tough one. My Dad was diagnosed with Multiple Myeloma, which is a type of blood cancer, a year ago. She was a prayer and healing warrior throughout. She kept me sane, nurtured me while I nurtured my Dad, and was the glue that kept our family strong during that time. The funny thing is that she is no longer married to my Dad. She rallied around me, my brother, and my step-mom like the angel she is. I am very fortunate for the relationship all of my parents have with each other. Subsequently, my 16 year old son suffered a very severe concussion. This concussion had him unable to function, interact, go to school, or play his most beloved sports. It caused emotional and mental strife and chaos in our family. His personality changed as he tried so hard to forge ahead in healing. My Mom had all the right words. She was always there ready with advice, research, and tools to help him and us through. And we did make it through. My Dad is successfully in remission and my son is back to himself and well on the road to recovery! You can see, though, how this stroke threw us (especially me) for the biggest loop of all. We have learned so much through this though! We have learned that it is never good to go it alone. It is always best to lean on each other. In fact to thrive in life we must learn to do this more often. Sucking it up and going it alone just so that you don’t rock the boat is never the right thing to do. The emotional, mental, and physical consequences are just not worth it. This was my Mom’s lesson. She is so good at giving, but how has she been at receiving? Well, she is being given the lesson of her life in that. Our family, friends, and community have blown us away in their love and support. What has really rocked our world is THIS community. I have never felt more supported in my life. I never expected THIS community to rally around us in the way that they did. I have received more words of encouragement and support than I ever imagined that I would. It kept me strong. A friend of mine within this community knew of the fundraising efforts we were undergoing in our community of family and friends and asked if she could please share. She just knew that so many of our friends would want to help. And boy was she right! I was floored. These people who had never met her & in a community where most of us do not even share our real names cared & gave over and beyond what we could ever imagine. I never in a million years expected that! I would never have asked for it. My Mom and I both cried (more like balled out eyes out) when we saw the outpouring of support. My Mom has learned that she never has to go it alone. She is completely supported beyond her wildest imagination and so have I. I have found an inner strength that I never knew I had. The lessons of this year have been hard, but possibly some of the most valuable of my lifetime. I hope I have the chance to give to all of you in the way I have been given to. I am so lucky to belong to this incredible community. I hope we all remember that. Things will come along occasionally to rock the boat, but together we can pull through it all! 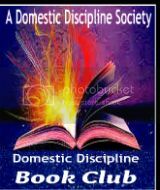 Who would have thought that a shared interest in spanking would lead to all of this! 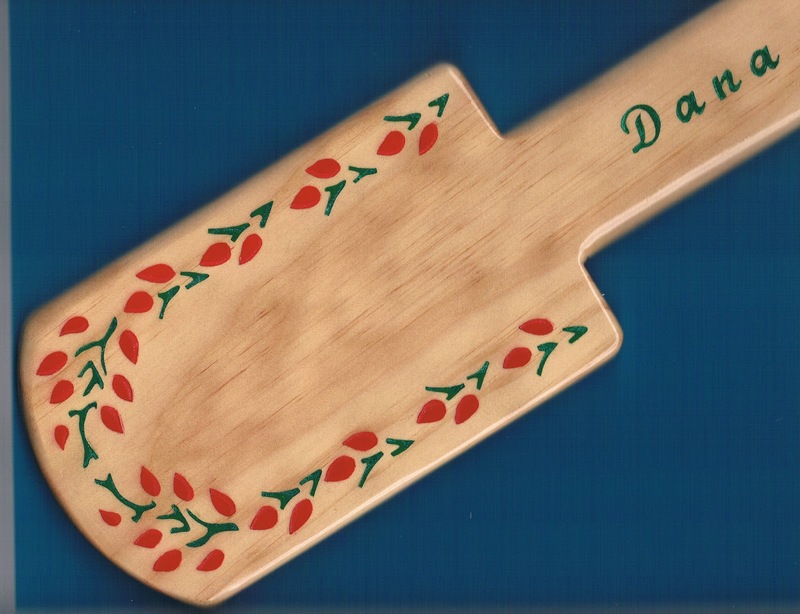 Oh and in another bright spot right in the middle of all of this (I was actually at the hospital with my Mom) I found out that I won a beautiful paddle in the Spankee Doodle Blog Hop from Dee Dee at CDD Taken in Hand Stories!! It made my Day! As strange as it is it gave me just that spark of having something to look forward to. It brought levity to an otherwise overwhelming situation. Here is a beautiful picture of the paddle that I won. Mine is exactly the same except with my own name on it in red. Thanks, Dee Dee! It’s funny what joy the little things give! This entry was posted in Uncategorized and tagged Community, friends, friendship, fundraising, Health issues, life lessons, Multiple Myeloma, paddle, prize, Spankee Doodle, Spankee Doodle Dandy, spanking, spanking community, spanking implements, Stroke, support. Corinne, you give so much to this community. Your wisdom, light, and love are amazing. We are grateful to you for being in our lives! If you have received support, it’s because you richly deserve it. I hope that your mom is getting better every day, that your family heals, and that your worries about finances will be taken care of. Many blessings to you. Thank you, Ana! You’re going to make me cry again! This community means the world to me! hugs, Corinne! Love you soooo much!! I’m glad your mom is recovering. Katherine, I appreciate you more than words could ever say! I’ve spent the last four days in bed. It’s probably been the most rest I’ve ever had in my life, but I needed it. Feeling like I can conquer the world again tomorrow. So happy that things are getting better for everyone, Corinne! What I find amazing is here you are going through all of this and in the meantime you’re the one offering us support and words to advise and guide and are doing so without any judgment but with only the intention to help. I think you’re amazing, uplifting and wonderful, Corinne. You’re going to make me cry, Natasha! Lots of grateful tears are stemming from this whole experience. I am immensely appreciative for the friendships I have. The give and take is effortless. Aw, Tara! It seems there are a lot of tears going around! What a touching and inspiring post! Love the paddle story too. It’s funny how little things like that can brighten your day. I’ll remember that the next time someone I know is going through a rough time (though I probably won’t be sending too many paddles!). Thanks, Celeste! LOL You never know just “what” will brighten someone’s day!